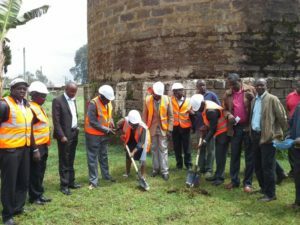 In line with the objectives of the “Kenya Vision 2030” program, the Kiambu County Government has invested in improved water storage and delivery infrastructure within its constituency. 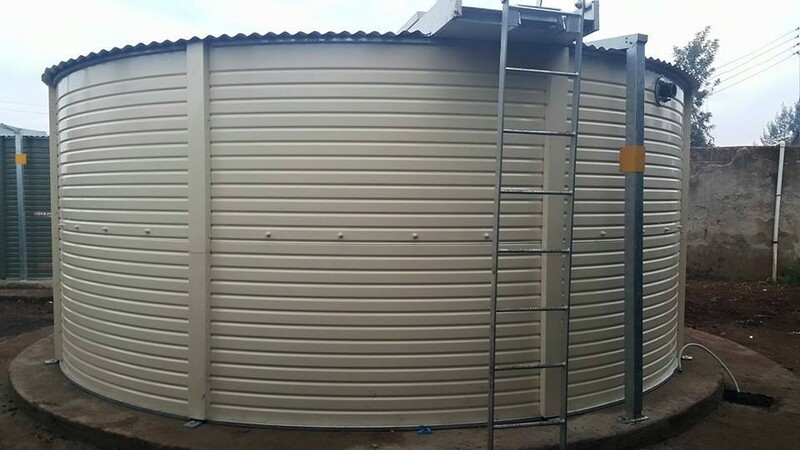 Collaboration Engineering Solutions and Products (CESP – Kenya) were privileged to partner with Kiambu County Government to supply, deliver, install and commission three new water tanks in Kiambu County at Githunguri and Kiambaa constituencies. These projects were funded by The Kiambu County Government with significant involvement from local stakeholders and water companies in the area. 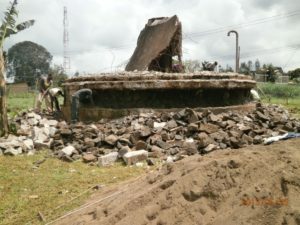 At Githunguri an old masonry tank was demolished and a new Pioneer Water Tank with 250,000 litres gross capacity was installed. It was a landmark local project with the local community highly involved in the entire process from ground breaking and demolition, through to construction and commissioning of the tank. 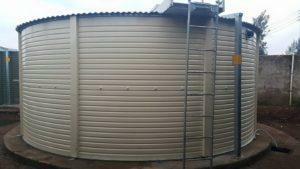 Gone are the constant water losses and ongoing maintenance costs of the masonry tank and in its place is a strong and durable steel liner tank made in Australia from high performance Colorbond® steel and Aqualiner®. 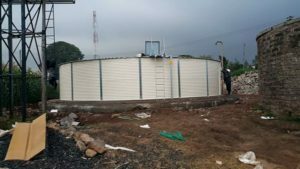 At Kiambaa two new Pioneer Water Tanks each with a gross capacity of 50,000 litres were installed and commissioned by CESP-Kenya and they are now servicing the population and providing the local Kiambu community with a secure and reliable water supply. The Aqualiner® inside a Pioneer Water Tank is a high-tech internal geo-membrane that is the result of 30 years of continuous research, development, testing and improvement in some of the harshest water containment conditions in the world in Australia. Its pedigree is unmatched in terms of its ability to reliably store and secure water whilst meeting the highest global standards of health, safety and water quality for all water consumers. CESP-Kenya are extremely pleased to be able to deliver these two successful projects to the Kiambu County Government and are very proud to know that these tanks will reliably supply clean, fresh drinking water to the local communities for many years to come.